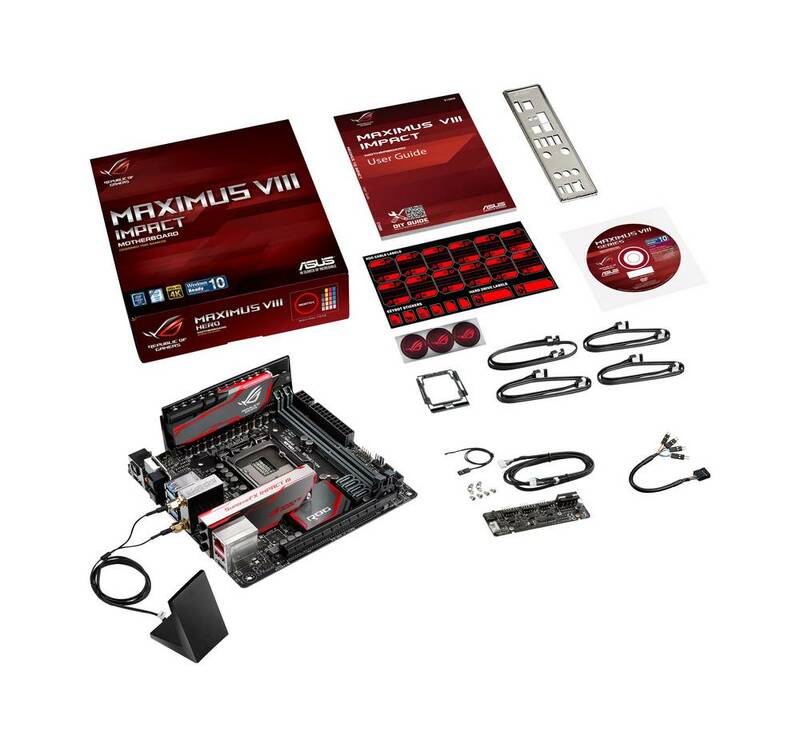 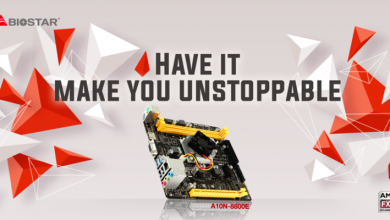 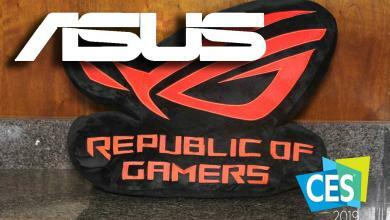 ASUS’ Republic of Gamers line always strives for setting the benchmark when it comes to motherboard design and even mini-ITX is not an exception with the announcement of their latest Maximus VIII Impact motherboard. 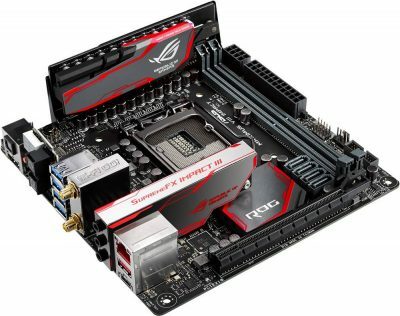 Designed for overclocking just like every RoG motherboard, the Maximus VIII Impact utilizes a vertical daughterboard for the VRM to compensate for the mini-ITX form factor’s lack of space. With Intel ditching the integrated voltage regulator on Skylake motherboards, VRMs now demand more space on the motherboard PCB so the upright daughterboard is a smart implementation by ASUS, sporting International Rectifier PowIRStages. 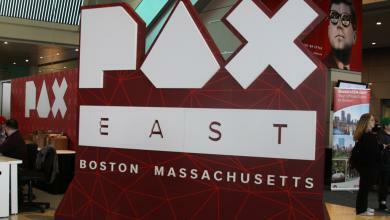 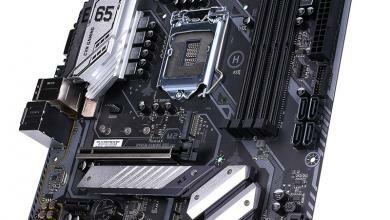 The Maximus VIII Impact is not just designed to be great at overclocking either. 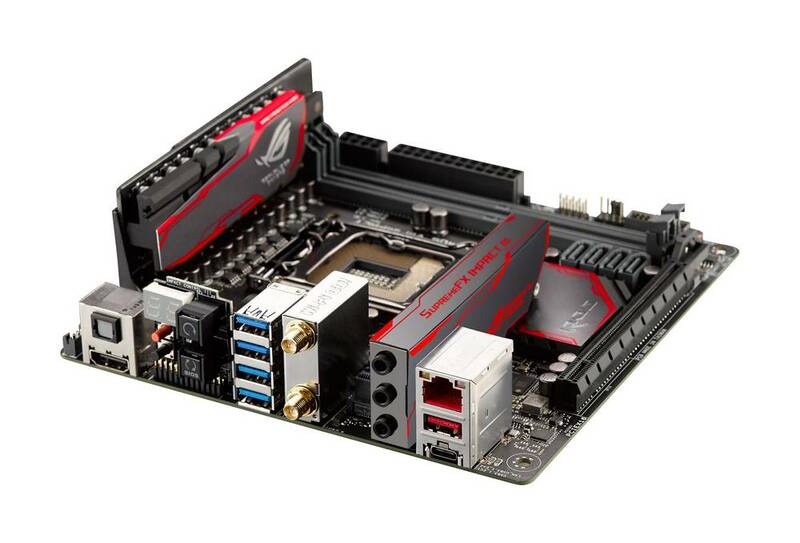 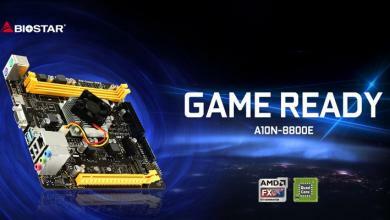 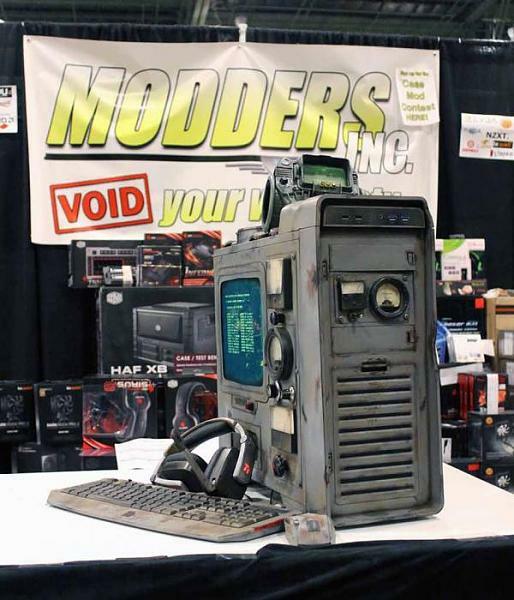 It also sports many creature comforts for gamers including 2×2 802.11ac Wi-Fi capability, Intel i219v Gigabit LAN, U.2 32GB/s connectors in place of M.2 and is bundled with an ASUS SupremeFX Impact III sound card, specifically designed for use on the mini-ITX board.